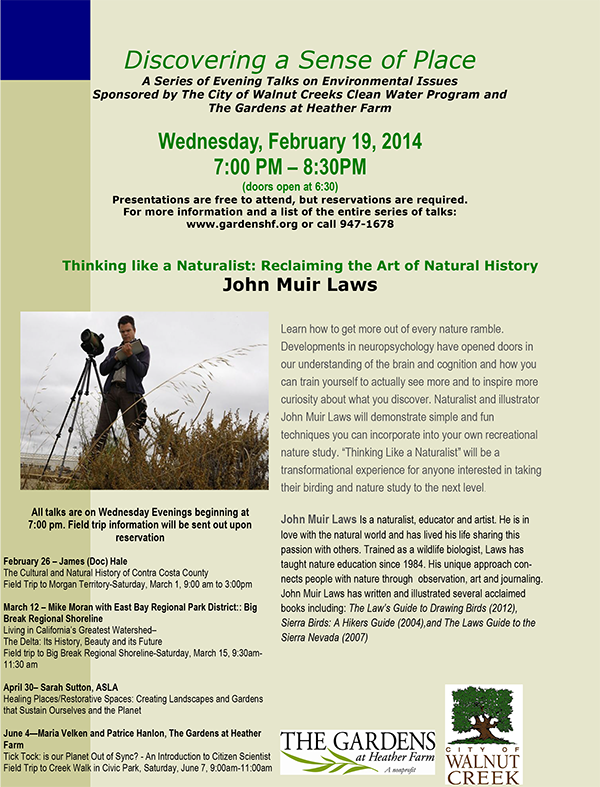 Doc Jim Hale, wildlife biologist, naturalist and ethnobiologist will bring alive the amazing natural history of the Lamorinda area. Learn what plants thrived here and how they were used by local Native Americans. Find out what animals visit our area while we sleep at night. Doc Hale is an expert on wild, edible plants, the medicinal and cultural use of herbs, and mountain lion ecology in Contra Costa County. Doc’s photos and stories will delight people of all ages. Want proof? Check out this photo from Briones taken on June 19th. Register here. 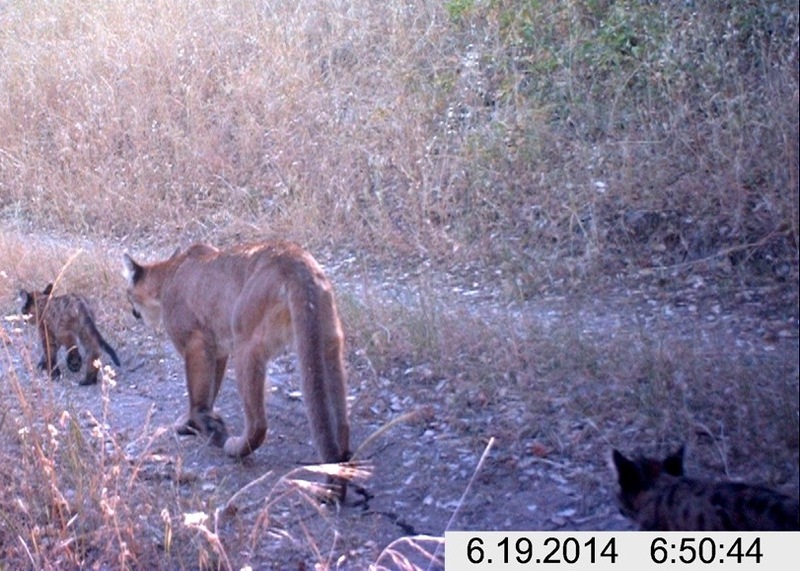 This entry was posted in Blog, News & Events, Outdoor Learning Center, Wildlife and tagged Mountain Lions. CCCSWA Residents Only: Walnut Creek, Orinda, Lafayette, Moraga, Danville, Alamo, Blackhawk and Diablo. This entry was posted in Gardening Tips, News & Events and tagged Worms. Did you know that the roof of a 1,000 square foot house can collect around 600 gallons per ONE inch of rain? In an average year with 12 inches of rain, that small roof could collect 7,200 gallons of precious, FREE water. Or are you aware that you can set up your laundry to safely and efficiently water your landscape? Sustainable Contra Costa is hosting hands-on rainwater harvesting and greywater installation workshops to help you learn how to conserve water, make your home more energy efficient, and save money. 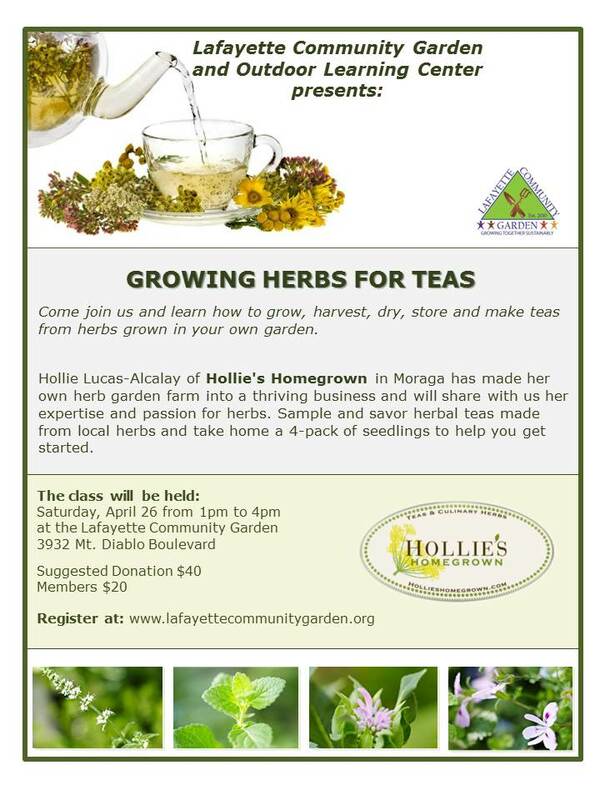 Come join us March 23rd and March 30th to start off the Sustainable Living Workshop Series. Lunch will be provided. Space is limited! Location details will be sent after registration. To register and for more information, click the links below. This entry was posted in Community Events, News & Events, Sustainability and tagged Greywater, Rainwater Harvesting. It seems like only yesterday when our water tank was delivered. This tank helped us through the first two years while our more permanent, sustainable water was sorted out. But now we have more space for growing! This entry was posted in History, News & Events, Sustainability and tagged Water Tank.